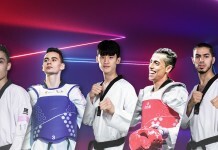 A look at the contenders in the men’s up to 61 kg ‘super’ division, two years before Para taekwondo makes its Paralympic debut in Tokyo. Rankings used in this article are from May 2018. The lightest weight division on the men’s side, the up to 61 kg division will see lightning-quick fights, with some of the sport’s fastest and most accurate kickers. 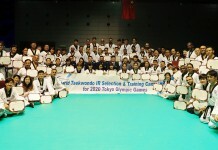 Twelve fighters will qualify for the 2020 Paralympic Games in Tokyo: six via world rankings (four from K44, two from K43), five through continental qualification tournaments (Africa, the Americas, Asia, Europe, and Oceania), and one from the host country or special invitation. The division is defined by Mongolia’s Bolor-Erdene Ganbat, who owns the K44 division with three world titles and a 122-point rankings lead, and France’s Bopha Kong, the king of the K43 side, with three world titles of his own and an 85-point rankings lead. The emergence of talented young fighters like Turkey’s Mahmut Bozteke (No. 2 in K44) and Russia’s Danilii Sidorov* (No. 3 in K44) have challenged the leaders, with the former pushing Ganbat in last year’s world championships and the latter besting him at the IWAS World Games – Ganbat’s first-ever loss. Spain’s Alejandro Vidal Alvarez (No. 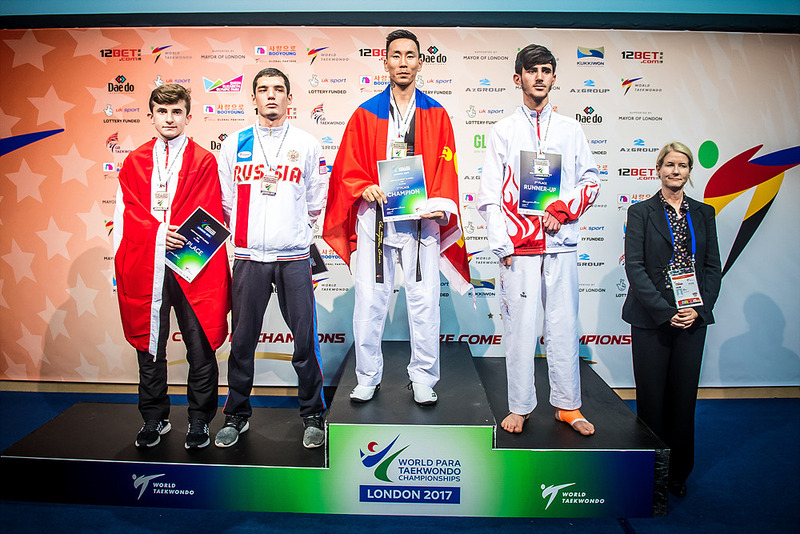 2 in K43) bested Kong at last year’s worlds, denying the French fighter his fourth title. Athletes do not automatically qualify for the 2020 Games, but instead earn a position for their country. Additionally, a country must replace a K44 or K43 athlete from the same classification, so long as they fulfil all other criteria (ex. Having a world ranking). Spain may have a difficult decision to make as only one of Alvarez and Aythami Santana Santana (No. 4 in K44) will be able to qualify through the world rankings route. Italy’s Antonino Bossolo (No. 6 in K44) and Canada’s Anthony Cappello (No. 3 in K43) are next in line, depending on who is selected. In addition to Spain, Russia will have to choose between Sidorov, Askhat Akmatov (No. 5 in K44), and Kadibagama Omarov (No. 5 in K43), while Turkey has the difficult choice between Bozteke and Ali Can Ozcan (No. 8 in K44). All those who don’t qualify through the world rankings route will need to win a continental qualification tournament to be held in early 2020. Countries that qualify four or more fighters in the six divisions will not be able to send athletes to these tournaments. This will be the first time K43 fighters will face their K44 foes. Rwanda’s Jean-Claude Niringiyimana (No. 13 in K44) is the early favourite to come out of Africa, although Morocco’s pair of Ayoub Adouich (No. 18 in K44) and Hamid Fakir (No. 15 in K43) might politely disagree. Costa Rica’s Edwin Pizarro (No. 20 in K44) and Guatemala’s Gersson Mejia (No. 4 in K43) have some work to do to catch Argentina’s Facundo Andres Novik (No. 7 in K44) in the Americas. Korea’s Kook-Hyun Han (No. 19 in K44) and Kazakhstan’s Nyssanbek Aidarbekov (No. 8 in K43) will have their work cut out for them in defeating Iran’s Sajjad Javanbakht (No. 11 in K44). If Bossolo gets in via world rankings, the European qualifiers look to be up for grabs. Watch out for Great Britain’s Leif Thobroe (No. 12 in K44), Azerbaijan’s Rovshan Gahamanli (No. 14 in K44), and Finland’s Matti Sairanen (No. 15 in K44). Japan has up to three positions set aside for host country athletes among the six divisions and must select at least one woman. Japan will likely use the world ranking to choose these fighters. Chikara Ito (No. 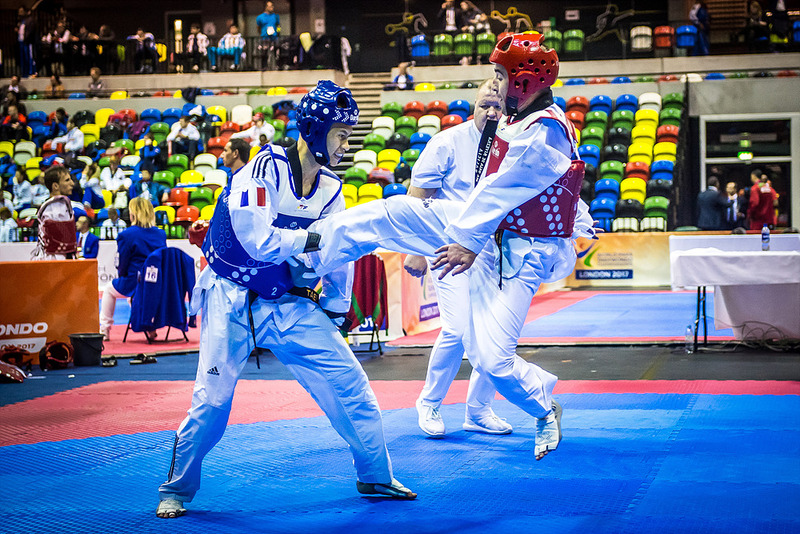 10 in K44) is currently the top Para taekwondo fighter in Japan and will have to overcome the pressure of representing his nation at home. He won’t, however, need to face the pressure of qualification as he is likely to be one of three fighters to represent the home nation. While there are no other qualification spots available if the host country fills one of their quotas, an extra spot might become available if no fighters qualify from one of the continental qualification tournaments. This will be the only second-chance method to qualify for the 2020 Paralympic Games if an athlete is unable to qualify from one of the routes mentioned above. *Editor’s note: The International Paralympic Committee suspended the Russia Paralympic Committee on 7 August 2016 for its inability to fulfil its IPC membership responsibilities and obligations, in particular its obligation to comply with the IPC Anti-Doping Code and the World Anti-Doping Code (to which it is also a signatory). As a result of the suspension, Russian athletes cannot enter IPC sanctioned events or competitions, including the Paralympic Games.